Headlies: WWE FORGES SOLIDARITY PACT WITH PENN STATE AND SYRACUSE VICTIMS, FIRES TERRY GARVIN’S CORPSE - WrestleCrap - The Very Worst of Pro Wrestling! Stamford, CT – In the wake of the sexual abuse scandals that have rocked Penn State University’s football program, as well as Syracuse University’s basketball program, World Wrestling Entertainment has continued their outreach of benevolence, with next year being an election year and all. It was announced on Wednesday that WWE had come to terms on the immediate release of the dead body of former wrestler/backstage agent Terry Garvin. Garvin, who died in 1998 of stomach cancer, left WWE in ignominy in 1992 after former ring attendant Tom Cole, among others, made public claims of sexual assault during his tenure with the wrestling company. 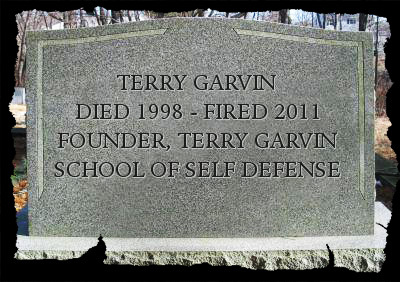 Garvin resigned, and lived a quiet life until his death six years later. 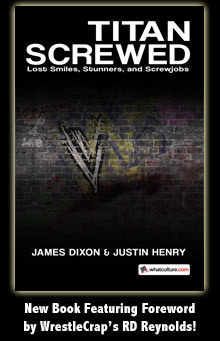 The move has been deemed “suspicious” by several insiders, who note that WWE has, for one, timed its redistancing from Garvin to coincide with the fallout of internationally-covered scandals, and, two, for firing a dead body. As for Garvin’s dead body, it will have to sit out for ninety days before TNA or any other wrestling promotion can negotiate with it.